The story of Diecast Masters began 30 years ago when a young Australian named John McNickle approached Mr. Yu-Lee Fung of Hong Kong to build some diecast scale models. Having established his business in 1978, Mr. Fung was ready, willing and able to take on the project. He delivered splendid models on time and on budget for Mr. McNickle’s customer. And so began a bond between the two men that lasted until Mr. Fung passed away in 2014. When Mr. Fung and Mr. McNickle first met, Yu Lee Industrial Company’s factory was located in Hong Kong. But it wasn’t long after that Mr. Fung joined the growing wave of entrepreneurs who ventured into the Pearl River Delta region of South China, and Yu Lee Industrial’s first plant was built in Dongguan. 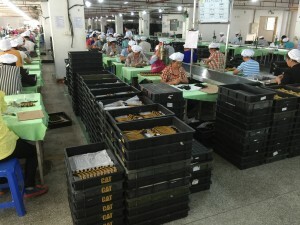 With business booming, in 2006, ground was broken for Yu Lee’s current Dongguan factory. 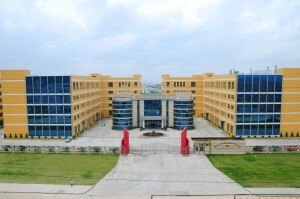 Opened in 2008, the factory complex encompasses 80,000 square meters (860,000 square feet) of production space. The factory holds all major toy industry certifications as well as ISO 9001 quality systems certification. But there’s another aspect to the Diecast Masters story, and for that we again go back in time – to the 1970s and the births of Mr. Fung’s two sons, Barry and Raymond. After completing their college educations, the younger Fungs assumed management roles in the family business – Barry in charge of manufacturing operations and Raymond in charge of financial, sales and marketing for the business. So it was that Diecast Masters Company Limited was formed and, in August 2015, was granted a license by Caterpillar Inc. to manufacture Cat® diecast scale model replicas.